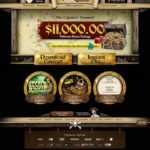 Captain Jack Casino is an online casino including mobile games, established in 2008 using games powered by RTG software. It is operated by Emoney Processing LTD and is licensed under the jurisdiction of Costa Rica. Get prepared to go on a voyage, feeling the wind caressing your back as you go on an exploration. While sea urchins might not be what you will be searching, you will surely get to dine at the table of Captain Jack. Captain Jack is going to dine and he is calling for all pirates and deck hands to join him at the feast, Captain Jack’s Casino is your ultimate destination. When you arrive, you will be walking the plank among crisscrossed swords and skeletons. When you have entered the casino, you will get the ultimate pleasures of gambling that only occurs when you lay down your bets. A shipwreck has never been this exciting and the sound of the role of the dice and bells and whistles will make you interested enough not to be in a hurry to reach dry land. 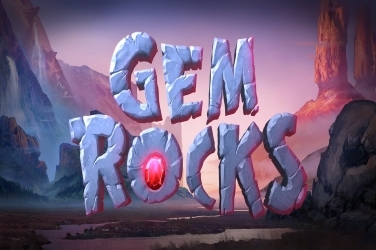 A bonus package is given as a generous welcome to new players on the first ten deposits that they make. You can use the special codes in cashier in order to redeem bonuses. For offers and weekly promotions, check your emails. It is only through a special invitation that you can be a member of the VIP Lounge. 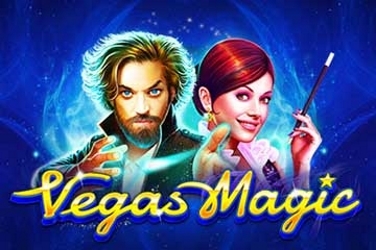 This chosen group of players consists of a personal casino manager and other exclusive benefits. 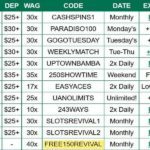 VIP members can get attractive bonuses amounting up to $50,000 from Monday to Thursday. Up to $7,500 is given through welcome bonuses. You can get higher conversion rates on the points that you earn as well as cash back and high table limits. By wagering on games and playing them, you may earn comp points. 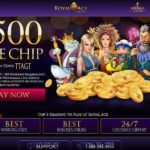 Loyal players are awarded an exclusive bonus and a loyalty chip once every month. 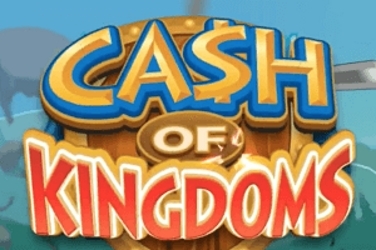 You can accumulate and redeem points for real cash that will be directly transferred to your own account in the casino. You may pick from hundreds of games. You have the chance to win three jackpots. The largest jackpot, which is the Progressive Jackpot, goes up to millions. 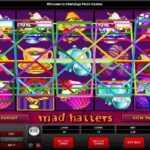 You can find the second Jackpot on the real-time slots which can amount to thousands, The Minor Jackpot, which is the third jackpot, is the smallest of the three and can amount to hundreds of dollars on specific slots. You can avail this along with the Random Jackpot. 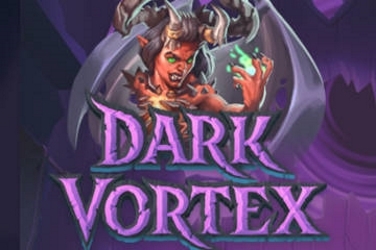 You can try a few slots: Naughty or Nice which is a holiday spot that comes with a bonus round, Rain Dance that has as many as 100 spins that can be won on the bonus round, Triton’s Treasure with a bonus feature and expanding wilds and also Paydirt which has three bonus rounds as features. There is the Aztec Treasure slot with a bonus round spin amenity along with expanding wilds. Along with this comes the Aztec Guaranteed slot which promises a bonus round. There is also the Aztec Treasure progressive slot which can amount to millions. This is a complete casino that consists of table games for Craps, Roulette, Blackjack and much more. You can indulge in Video Poker that offers the ability for you to play up to 100 hands at one time. The new mobile casino is now live on Captain Jack. Head to the casino on a mobile device or tablet and you will see the brand-new, easy-to-use interface giving you full access to your account and the best mobile games online. IPad, iPhone, iPod Touch, Blackberry, Android, Windows devices and tablets, sign up Try it out today. 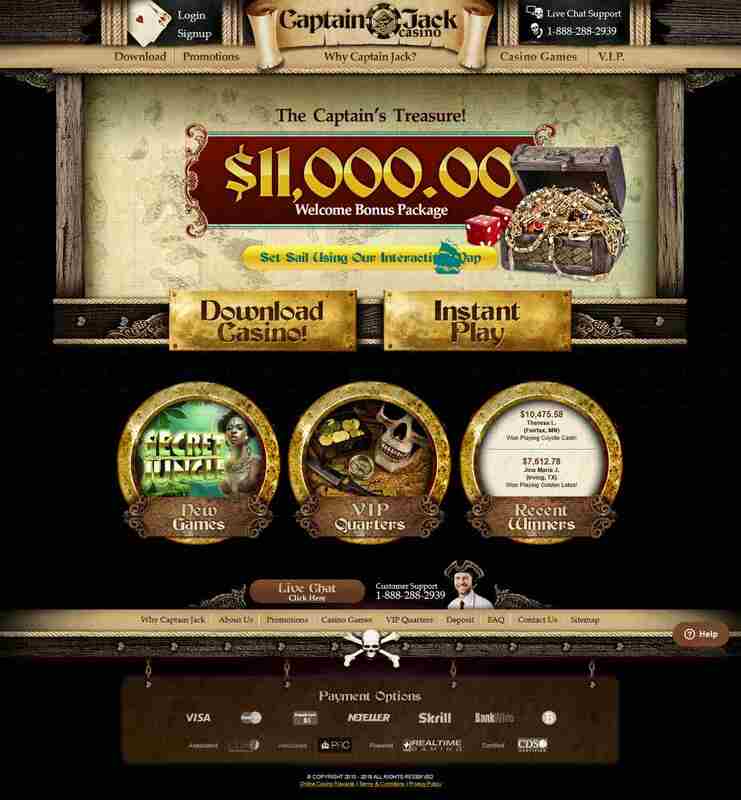 Captain Jack Casino is powered by the software Real Time Gaming (RTG). The ease of navigation and the crispy clean graphics will be loved by every player. Since its inception in 1999, RTG has earned a reputation in the online casino industry of being one of the main software providers. It offers a greater variety of progressive jackpots as compared to most other internet casinos. The feature known as recordable Trust lets players see all the wagers that were placed at any time in the past. It shows the date, time, winnings and other information in detail. Players can check out all the transactions with a history feature provided alongside. Captain Jack’s Casino is certified for fair gaming. 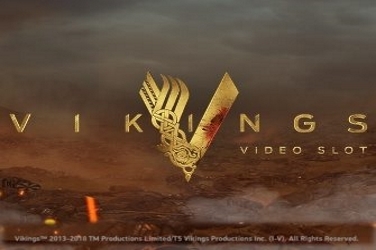 The fairness of operation of all games has been ensured with Technical System Testing (TST). It has also made sure that the results are random. The highest level of security has been ensured in the encryption of all the transactions.